OUR PROMISE: WE OFFER INNOVATIVE, WELL-DOCUMENTED, AND EFFECTIVE APPROACHES TO HELP AGENCIES REINVENT HOW THEY DELIVER ON THEIR MISSIONS, IMPROVE CUSTOMER SERVICE, MAXIMIZE THEIR ROI, AND BETTER PLAN FOR THE FUTURE. The federal government’s renewed focus on information technology via the recent FITARA and IT modernization bills, along with cybersecurity-related initiatives, is driving investments in areas like cloud computing, mobile computing, artificial intelligence, machine intelligence, and more. OST has provided IT solutions over the course of nearly two decades, giving us the experience to help agencies not only deliver on promises of efficiency and transparency, but also help to change their reputation in the eyes of their users, transforming perceived failure into award-winning programs. We call our approach to IT delivery Agile 5, which combines the concepts and principles of the CMMI Level 5 high-maturity process areas with Agile methodologies. This significantly improves the delivery rate of product capabilities while maintaining a high level of quality and satisfaction. While bringing together CMMI and Agile may seem unconventional (if not impossible), as their respective methods seem at opposite ends of the spectrum, we have found that our Agile 5 approach leverages the discipline, comprehensiveness and sustainment focus of CMMI with the build, speed, and lean focus of Agile to bring the best of both worlds to our clients. Our solutions ensure the security, reliability, efficiency, and capacity of enterprise and battlefield defense systems. Because we assimilate sensors and sensor data across multiple technologies, we provide our Federal customers relevant, timely products that can be used for situational awareness, force protection, and Reconnaissance, Surveillance, and Target Acquisition (RSTA). Other OST solutions assess the logistical “health” of weapons systems and provide aircraft software and hardware design. Our work is always aligned with our customers’ missions: Keep the US safe by preparing the soldier and the warfighter for battle, supporting homeland security, and protecting the national airspace system. Providing engineering services that include the design development, field testing and evaluation, implementation, deployment, and sustainment of C4ISR systems operating around the world. Providing systems engineering, operations and maintenance, application development, database management, and interoperability activities of C4ISR systems. Providing integrated logistics support of C4ISR systems throughout their lifecycle, from development to final disposition. We provide the critical subject matter and systems expertise needed to sustain advanced weapon systems programs and keep airplanes flying safely around the world. Our engineering services support the C4ISR system lifecycle from development to final disposition. Some of these functions range from maintenance and repair of critical parts to determination of battle readiness of military equipment, to ensuring the security, reliability, efficiency, and capacity of the National Airspace System. Our experts support the government to ensure that software in aircraft and weapons systems is compliant with DOD regulations and goals. OST systems integrate case management, aviation safety, health IT, enterprise HR applications, mainframes and financial subsidiary ledgers, enabling us to ensure the most efficient use of resources across large institutional operations. With this integrated technology approach, OST has been able to prevent fraud, waste and abuse of assets, resulting in exceptional customer satisfaction and helping our customers elevate performance to their highest recorded levels. 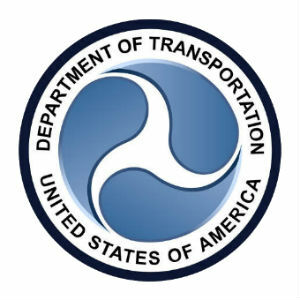 OST PROVIDED TOTAL LIFECYCLE MANAGEMENT SERVICES FOR A FEDERAL AIRSPACE SYSTEM FOR 17 SYSTEMS AND 275,000 AIR FORCE USERS. OST offers a cross-functional and cross-disciplinary approach, bringing together experts from across the firm to offer innovative, well-documented, and effective approaches to preventative and detective cybersecurity. We work with our government customers to ensure our solutions are FITARA-compliant and implement the now-required Risk Management Framework (RMF). OST provides both strategy and implementation for cybersecurity engagements. Our strong pool of Subject Matter Experts (SMEs) are certified, with highly technical skills, yet also able to communicate to non-technical senior management teams so everyone can understand the stakes. In cybersecurity, trust is paramount, and OST works collaboratively and transparently in partnership with government clients to deal with the tough problems. Because we build teams from across disciplines and project areas, we ensure a cross-pollination of knowledge and ideas, giving them the creativity, speed, and flexibility needed to address the ebb and flow of constant change in this technically advanced environment. Both the company and its employees have all necessary cybersecurity-related certifications, including dozens of CISSPs. 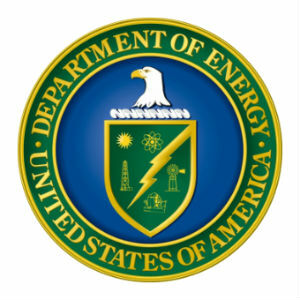 FOR A NATIONAL ENERGY LABORATORY, WE INTEGRATED, COORDINATED, AND SUPPORTED CYBERSECURITY ACTIVITIES RELATED TO THE SECURE TRANSMISSION AND STORAGE OF ELECTRONIC INFORMATION AND IMPLEMENTATION OF CYBERSECURITY POLICY AND PROCEDURES. OUR WORK REDUCED VULNERABILITIES, RESULTING IN THE LAB RECEIVING ITS FIRST “CLEAN” REPORT OF NO SIGNIFICANT FINDINGS.